pauseWatch is an assistive technology device and application designed for people with anxiety and panic disorder. The interface of pauseWatch relies on using different sensors and arduino to calculate body vitals, and when the body vitals are not in range, it triggers an alert on mobile device (or computer) that redirects the user to the mobile or web app that helps them calm down. Additionally, it also sends an email or notification to the loved ones to check up on the user, providing a sense of reassurance and care. 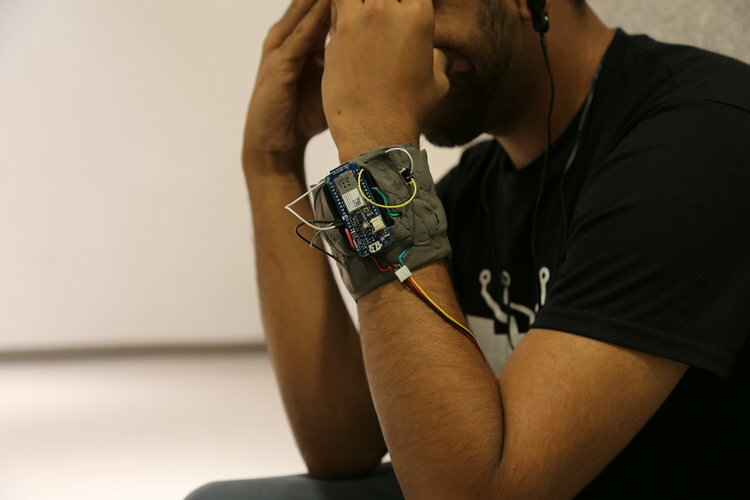 The unique selling point of this prototype is that in addition to being a monitoring device, it has a feedback mechanism to interact with the user customized to fit their needs and desires.